All proceeds raised from ROTC 50th Anniversary alumni events in October to benefit Cadet Fund. The NIU Division of University Advancement, led by Catherine Squires, CFRE ’80, president and CEO of NIU Foundation/vice president for University Advancement, is proud to donate all proceeds from last October’s NIU ROTC Huskie 50th Anniversary dinner back to the NIU Huskie ROTC Battalion on behalf of the NIU Huskie ROTC alumni. The proceeds, which total $850, benefit the Cadet Fund. 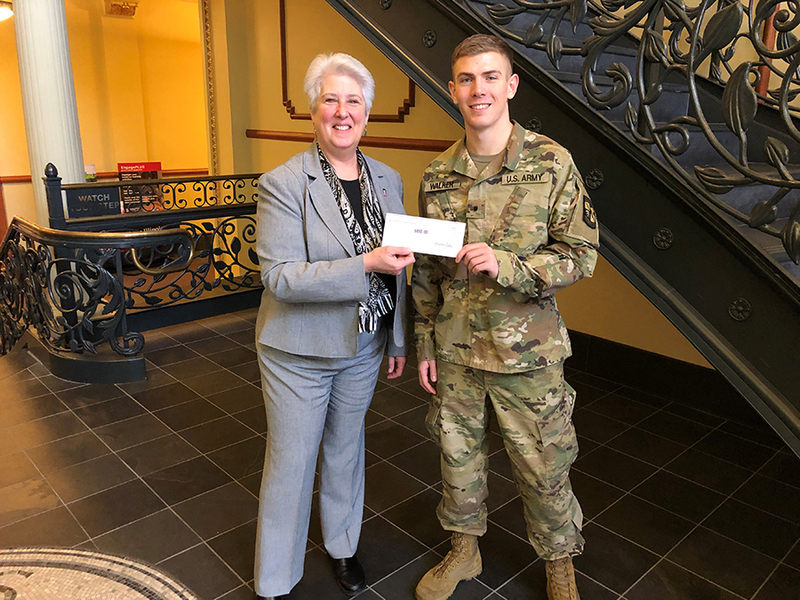 The Cadet Fund supports the participation of the NIU Huskie ROTC Batallion in the Army Ten Miler, the annual Huskie Battalion Military Ball, and the ROTC Marksmanship team among many other opportunities. To learn more about the NIU Huskie ROTC Battalion, check out their Facebook page.